The partnership will help dentists implement the safeguards now required under the HIPAA Privacy and Security rules. — Miguel Rugley, Owner of ITeeth. “We vetted many HIPAA compliance providers and believe PCIHIPAA’s OfficeSafe Compliance Program is the perfect solution for our clients. We take pride in helping protect our clients so they can run their practices. Our partnership with PCIHIPAA adds another layer of protection, and nicely compliments our current suite of services," says Miguel Rugley, Owner of ITeeth. “We are confident our clients will find the program easy to implement and they'll experience peace of mind knowing they are implementing the safeguards required under HIPAA." adds Rugley. •	PCI Certification - as required under by the Payment Card Industry... and more. 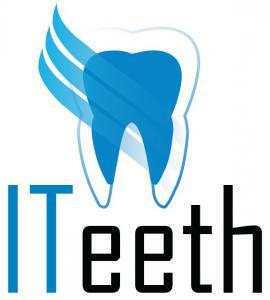 “We are excited to be working with ITeeth. I love their tagline, 'We manage your network so you can manage your business.' This aligns with our mission of changing lives by removing the uncertainties surrounding compliance and data breach protection.” said Jeff Broudy, CEO of PCIHIPAA. “We find that many practices don't have the resources to navigate HIPAA law, and are unaware of common vulnerabilities. We are thrilled to partner with ITeeth and to help protect their clients. We invite every member to conduct a complimentary Self-Assessment to quickly identity key vulnerabilities in their practice.” says Broudy. The ITeeth team is all about improving the end-user experience which is why we have a dedicated support team on board to help you out with any and all problems that you may face. You can count on us for reliable dental IT support in Denver, Colorado. It doesn’t matter if your VoIP phones aren’t working or if your Mac system is lagging; no problem is too trivial or too complicated for the ITeeth support team!